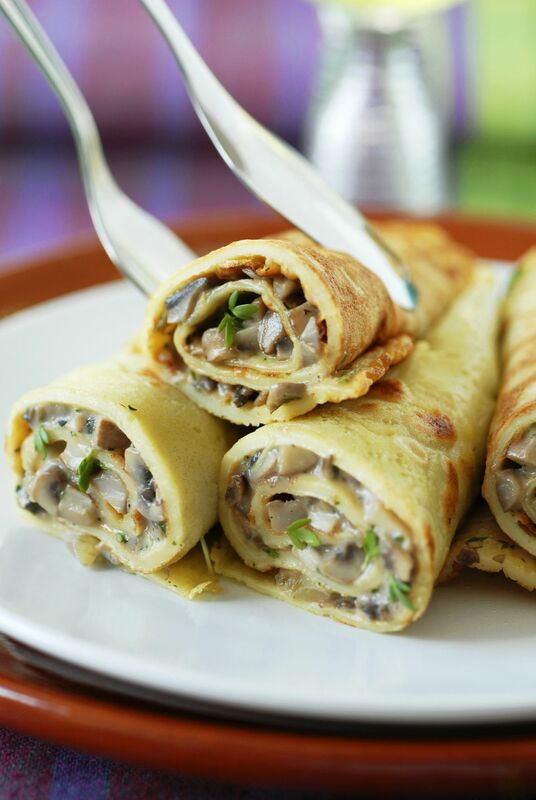 A fresh mushroom filling is one of the most popular stuffings for Polish pierogi and naleśniki, the latter is known as blintzes or crepes in English. Since these are vegetarian, they would be perfect for meatless Lenten meals or for wigilia, also known as Christmas Eve supper. Included here is a recipe for pierogi dough. In a large skillet, sauté mushrooms and onions in butter until tender. Add breadcrumbs, salt, and pepper, mixing well. Use immediately. In a large bowl, combine eggs, 5 tablespoons sour cream oil, salt, and chicken broth until well mixed. Add flour and knead by hand or in a stand mixer until the dough is smooth. Wrap with plastic and let rest at least 10 minutes. Using a 1 1/2-inch cookie scoop, follow these steps to roll, cut, fill, and cook pierogi.